Aankhein milayenge darr se song lyrics from the movie Neerja. Lyrics were penned by Prasoon Joshi , the music composer of this song is Vishal Khurana and the singer of this song is K.Mohan & Neha Bhasin. 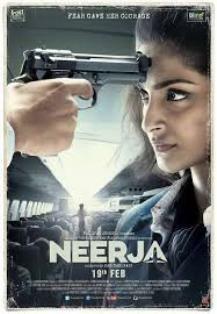 Sonam Kapoor has played in the key role, Shabana Azmi and Shekhar Ravjiani are in the supporting roles. Producer of this film is Atul Kasbekar and director is Ram Madhavani. डर से बोलो चल हट ... चल हट.... चल हट..